MUNICH (Bloomberg) -- The Quandt family, BMW AG's dominant shareholder, vowed to carry on its commitment to the carmaker as Volkswagen AG's Audi challenges BMW's lead in luxury vehicles. Investor Herbert Quandt fended off a takeover attempt five decades ago by Daimler AG, then called Daimler-Benz, by bankrolling development of the 1500-model mid-sized sedan. His family still owns 46 percent of BMW, and Stefan Quandt and Susanne Klatten, two of his children, sit on the supervisory board. BMW surpassed Daimler's Mercedes-Benz division as the world's largest premium carmaker five years ago and aims to almost double annual sales by 2020 to 2 million vehicles. That may not be enough to fend off Audi, which aims to leapfrog BMW and Daimler to become the largest maker of luxury cars by 2015. Audi is targeting record sales this year of more than 1.08 million cars and SUVs, boosted by the new A1 subcompact and the Ingolstadt-based company's position as the top high-end carmaker in China. BMW projects 10 percent sales growth to 1.4 million vehicles, its third-highest annual delivery figure. The VW unit's third-quarter operating profit amounted to 11 percent of sales, beating margins of 8.1 percent at BMW and 9.5 percent at Daimler's Mercedes-Benz Cars division, which also includes the Smart and Mayback brands. 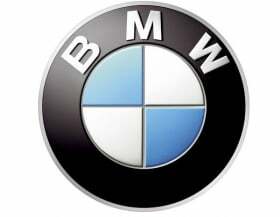 BMW, which also owns the Mini and Rolls-Royce brands, has posted consistent profits since Quandt's rescue except in 1999, when losses at the Rover brand in the UK prompted BMW to break up and sell the division. BMW's go-it-alone strategy, underscored by the unsuccessful Rover acquisition, is being challenged as the industry consolidates to meet tighter environmental regulations and expand in growing Asian markets. Daimler swapped stakes with Renault SA and Nissan Motor Co. in April to seal a partnership that will add to the German company's small-car lineup. Turin-based Fiat S.p.A. bought a stake last year in Chrysler Group. Volkswagen is adding Porsche Automobil Holding SE to its luxury holdings that, along with Audi, include Lamborghini and Bentley. Porsche shareholders today voted to support a 5 billion-euro ($6.5 billion) stock sale to pay down debt. BMW has preferred focused cooperation to broad alliances. The company is working with PSA/Peugeot-Citroen SA on hybrid-drive components and four-cylinder engines for the Mini brand, which represents BMW's last connection to Rover. BMW has also linked up with SGL Carbon SE to make carbon fiber for the frame of an battery-powered city car that will arrive in 2013. “BMW stands for long-term, future-oriented thought and action,” Chairman Joachim Milberg said. The Quandts are “still today a stabilizing factor,” who will help the Munich-based carmaker emerge stronger than before from the financial crisis. The Quandt family's backing allowed CEO Norbert Reithofer to lay out a strategy to achieve the 2 million delivery goal for 2020, he said. Reithofer has also had the freedom to break with tradition, including developing front- wheel-drive vehicles and exiting the Formula One racing. There are “parallels” between the crisis the company faced 50 years ago and the recent recession, Reithofer said earlier this month. In both cases, BMW invested in new products. The focus in the 1960s was the BMW 1500, which closed the gap between the entry-level BMW 700 and the high-end 501, the so-called Baroque Angel. Last year, in the midst of the recession, BMW introduced the X1 compact SUV and 5-series GT, which combines elements of an SUV and sedan. In 2010, BMW rolled out a revamped 5 series and the new Mini Countryman, the brand's first model with four doors.